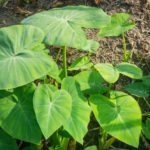 Elephant ear plants are a fun and dramatic feature to add to your garden, but just because these beautiful plants are not cold hardy does not mean you can’t keep elephant ear bulbs from year to year. You can save money simply by storing elephant ear bulbs or plants for the winter. Read on to learn more about how to overwinter elephant ear bulbs and plants. 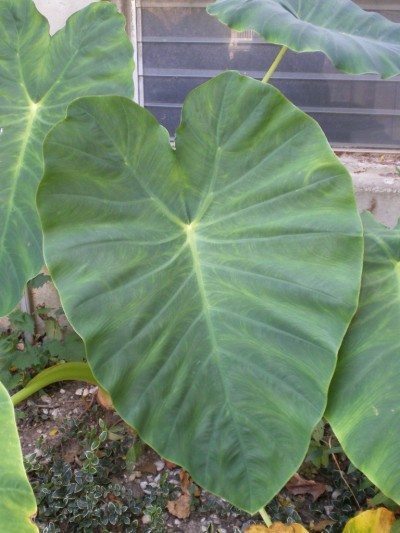 If you would like, elephant ear plants can be brought into the house and treated as a houseplant for the winter. If you decide to keep your elephant ear as a houseplant, it will need high light and the soil needs to stay constantly moist. You will also want to make sure that it gets plenty of humidity. In the spring, once all danger of frost has passed, you can put your elephant ear plants back outside. While many people use the phrase “elephant ear bulbs,” elephant ears actually grow from tubers. But, since so many people use the incorrect term, we will use it here to avoid confusion. The first step for storing elephant ear bulbs is to dig them out of the soil. It is very important to the success of saving elephant ears for the winter that you dig the elephant ear bulbs out of the ground undamaged. Any damage to the elephant ear bulb may result in the bulb rotting over the winter. In order to keep the tuber undamaged, it is a good idea to start digging about a foot away from the base of the plant and gently lifting the plant and bulb. The next step for saving elephant ears, is to clean the elephant ear bulbs. They can be gently rinsed, but do not scrub them. It is okay if some dirt is still on the bulb. 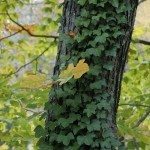 You can also cut off any remaining foilage at this time. After you clean the elephant ear bulbs, they must be dried. 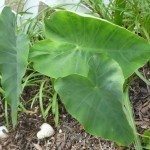 Keep elephant ear bulbs in a warm (but not hot) dark place for about a week. Make sure that the area has good air circulation so that the bulbs dry properly. After this, keep elephant ear bulbs wrapped in paper and in a cool dry place. While you are storing elephant ear bulbs, check on them every few weeks to make sure that there are no pests or rot. If you find pests, treat the bulbs with an insecticide. If you find rot, discard the damaged elephant ear bulb so that the rot does not spread to the other bulbs. 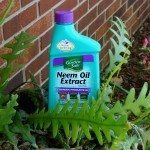 NOTE: Please be aware that elephant ear bulbs and leaves contain calcium oxalate, or oxalic acid, which may cause skin irritation and burning in sensitive individuals. Always use care when handling these plants.